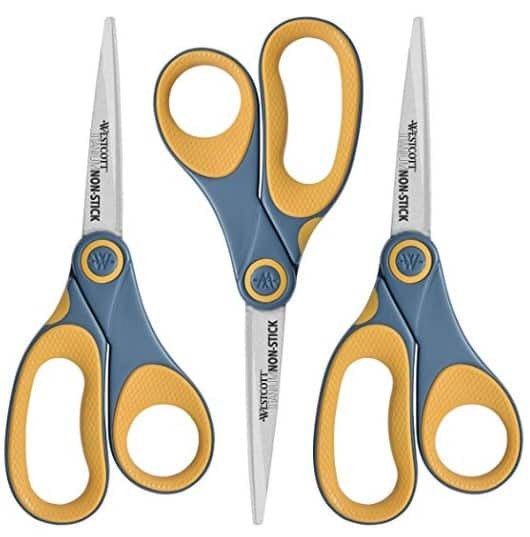 Amazon has Westcott 8-in Titanium Scissors 3-Pack for $8.90 (Reg $40). You can get free shipping on orders over $25. Westcott Titanium Bonded Non Stick scissors are lightweight, durable, and comfortable to use for all occasions. The Non-stick coating makes the blades corrosion and adhesive-resistant. These scissors will stay sharp, smooth-cutting and residue-free for years making them an exceptional value like all Westcott products.